Queen duvet cover (88" x 88") featuring the image "Blue Mosque Door" by Carlin Blahnik CarlinArtWatercolor. Our soft microfiber duvet covers are hand sewn and include a hidden zipper for easy washing and assembly. Your selected image is printed on the top surface with a soft white surface underneath. All duvet covers are machine washable with cold water and a mild detergent. 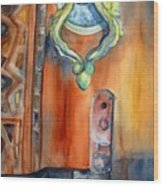 This door, the old wood, the detail the colors, such a beautiful mosque door and a pleasure to paint. I'm so pleased you enjoy the colors and tones Lucinda! Sorin thank you. 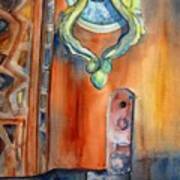 I'm glad you enjoy my rendition of this old wood door of the Turkish Blue Mosque. Debbie, many thanks for your support! 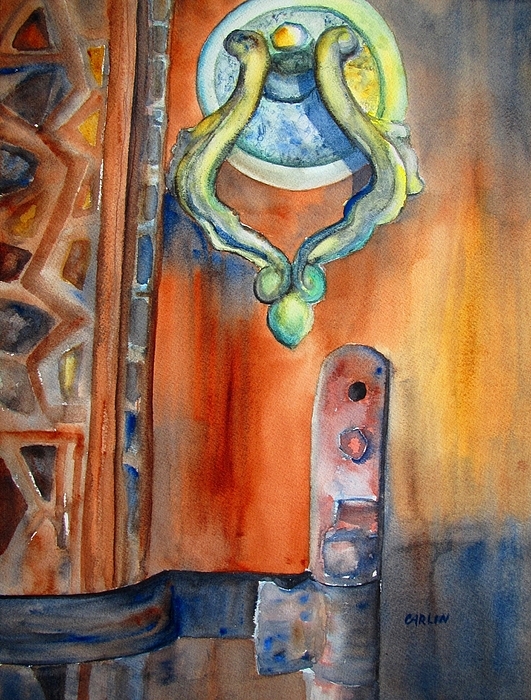 I am pleased you enjoy the details and how I played with the colors of this Blue Mosque Door watercolor painting. Hanne thank you! The detail of the carved and aged wood, along with the old hardware of this mosque door was absolutely beautiful. I enjoyed this study and, as is my style, amping up the color! Beautiful tones and subject. I love the ethnic feel. Thank you Karen! I'm glad you enjoy my Blue Mosque Door watercolor rendition and I appreciate you visiting and commenting. Thank you for commenting and "liking" my Blue Mosque Door! Such an overlooked subject. Thank you for noticing the small and beautiful details. So glad you like my painting and voted for it! Thank you for commenting and voting Cheryl! Joan, thank you for your nice comment and for your vote! Thank you Deborah, for your lovely comment and your vote!